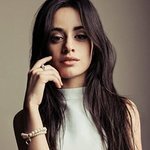 Save the Children has announced that chart-topping singer-songwriter Camila Cabello is joining the global humanitarian organization as an Ambassador. In her new role, Camila will raise awareness and advocate for Save the Children’s work in the United States and around the world. This announcement comes on Giving Tuesday, a global day of giving following Thanksgiving that celebrates and supports philanthropy through the power of social media. Cabello has shown strong support for Save the Children, often highlighting the organization’s efforts around girls, refugees and emergency response across her social media channels, which reach millions of people. Cabello, who was in Puerto Rico in October for her first-ever concert on the island, visited children impacted by Hurricane María as part of her new ambassador role. She visited Save the Children’s programs in the regions of Las Piedras and Yabucoa, including Journey of Hope and Healing and Education through the Arts (HEART), the organization’s social and emotional support programs. Both Las Piedras and Yabucoa were among the communities hardest-hit by María. Journey of Hope helps children and their caregivers cope with the trauma of loss, reduce stress and become more resilient, while HEART is an arts-based approach that helps kids process and communicate feelings related to their experiences. Cabello and her mother, Sinhue Cabello, joined in HEART activities with children enrolled in the program. Together, they participated in a guided meditation and painted a picture of their thoughts. Cabello also traveled with Save the Children to a day care center in a rural, mountainous region where the eye of Hurricane María ripped through homes, schools and buildings just over a year ago. Cabello met with Wanda, the day care center owner, and heard first-hand how the storm devastated this hard-to-reach community. She then read a book to a group of children as part of a read-aloud activity. Cabello donated a portion of her proceeds from her concert at the Coliseo de Puerto Rico as part of her first headline tour, “Never Be The Same,” to Save the Children’s Hurricane María Relief Fund. Save the Children is committed to long-term recovery efforts throughout Puerto Rico, providing educational and emotional support to children, families and caregivers. To join Cabello as a Save the Children supporter or learn more, visit www.savethechildren.org.